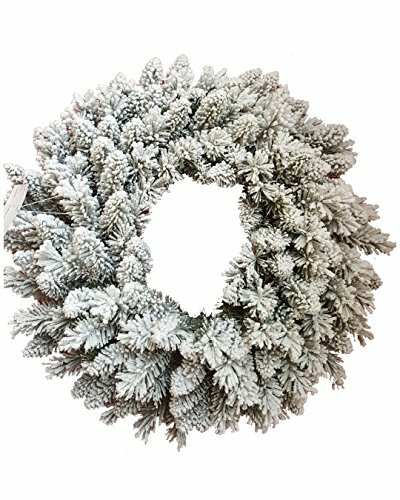 Junior Prince Flock Wreath: If you love the snowy feel of a wintry Christmas, here is King of Christmas's Junior Prince Flock Wreath. With chalky, angelic white tips, this flocked wreath seeps memories of beautiful blizzards of Christmas past. Add the Junior Prince Flock wreath to your home's decor, for a frosty and fine look this Christmas.